Low on money but still need new outfits for back to school? As someone who has utilized thrift stores as my main source of clothing for the past 15+ years, there really is no other option in terms of unique, one-of-a-kind items and maximum savings! 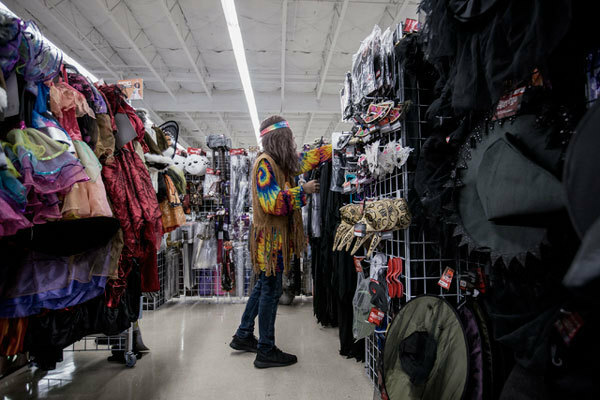 Approaching a thrift store isn’t hard but does require a plan of attack. Allow me to share with you some of my tips and tricks so that you get the most out of your thrift store experience. 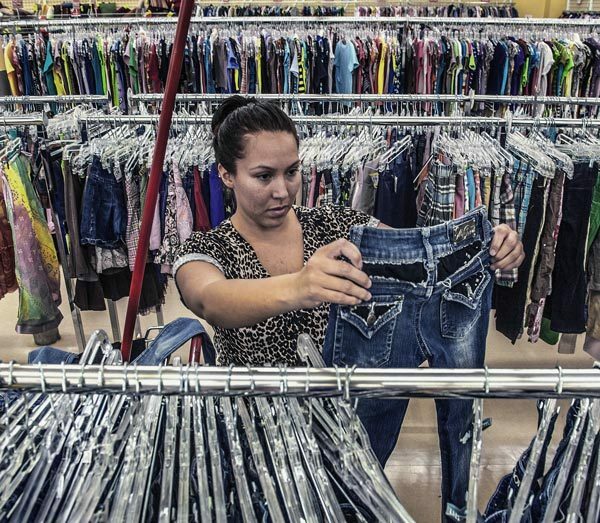 The best thrift stores are the ones that are in rural areas: the places where vintage store sellers probably aren’t picking through and scooping up the best duds. If you live in a populated area try to make a trip out to the country. If that’s impossible then you must pick the right day to get shopping. The weekends are always the worst— soavoid at all costs, if possilbe! 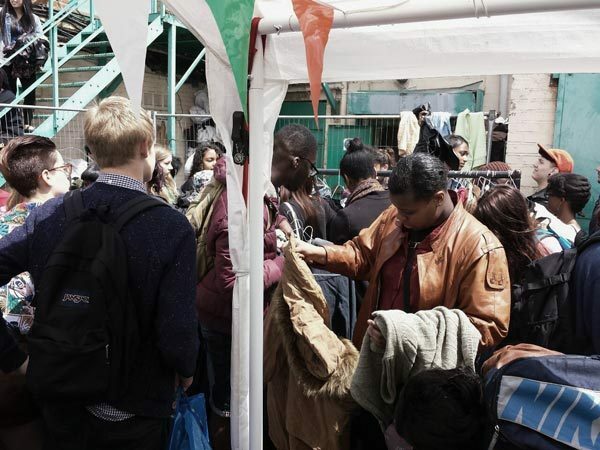 Tuesdays and Wednesdays (during the day especially) are ideal because they’ve restocked from the weekend and also probably have gone through a new batch of donations. Also, clear out a whole afternoon or morning for your shopping spree and try to hit more than one store if you can. What kind of clothing are you looking for? Dresses or pants? Sweaters or short sleeves? The key to successful thrift store shopping is to know where you want to put your time so that you don’t get too exhausted or frustrated and brush through a section that you were wanting to dig through. Go to the sections you’re most interested in first rather than starting at the door entrance. That way, if you do get fatigued and lose momentum, then you know you’ve at least searched for items you most desired. If you’re looking for decade-specific items, it’s vital to learn your fabrics and prints for an easy shopping experience. If you’re like me—a 1980s fanatic—then you’ll want to look for heavier, well-made fabrics (this applies for 1990s fashions, too) and they can often be a bit faded from washing and sunlight. Jersey knits are a thing of the millennium, so it might be good to check out an item’s brand and tag for validation on how old it is (if it says H&M or looks new, then it definitely is). Don’t be fooled by newer throwback clothes—you can tell the quality in the way it’s made and in the cut of the item. There’s some parts of the thrift store that seem to get overlooked. I, on the other hand, have found some fabulous finds where you wouldn’t expect. Check the lingerie and sleep section for cute Courtney Love-inspired dresses or vintage bodysuits. I’ll also peruse through the swimsuit section for bodysuits as well—I’ve found some great vintage workout gear there. As a woman, I still stop by the men’s shoe section for boots… some of them fit! Speaking of, Try Everything On! Don’t assume that something will fit. You absolutely must try it all on—especially if you have vintage items. Clothing sizes from the 1980s to present times have changed dramatically: a size 12 then is about a size 6 now. Also the cuts of vintage items might be different than what you’re used to, so it’s good to see if you like it. But don’t be afraid of shoulder pads (you can easily cut those out of the outfit)! Make sure you combed through every section you had in mind. I always ask the front desk if there’s any more jewelry behind the counter that’s not on display (they usually have tons but it’s either not priced or there’s not enough room for it). Also be sure to run through clothing sections in both men’s and women’s that you didn’t pay enough attention to in your initial shopping spree—be on the lookout for any prints or fabrics that pop out at you. 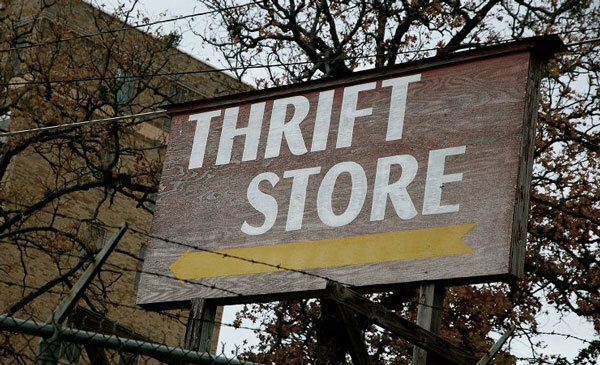 Do you have any tips or tricks for thrift store shopping? Comment below!